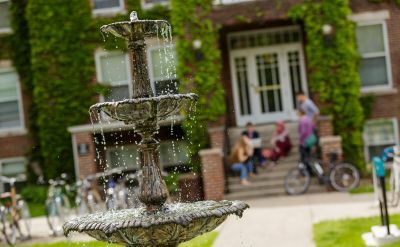 Goshen College President Jim Brenneman joined other college presidents, mayors, governors and business leaders by signing an open letter to declare institutional commitment to the 2015 Paris Agreement, despite withdrawal by the federal government. What Matters Most: Thank the makers and Maker! 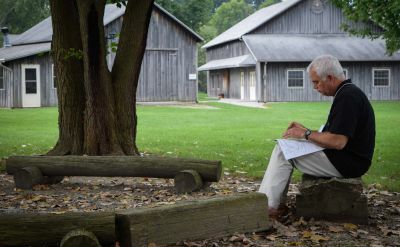 I have come to more fully realize during my presidential tenure that one of the greatest gifts a liberal arts education can give anyone — be it metaphorical, mechanistic, scientific, literary, literal, historical or spiritual — is an ever-deepening lifelong sense of gratefulness. 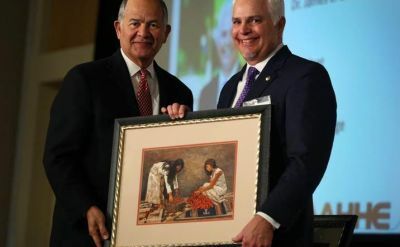 The Board of Trustees of the American Baptist Seminary of the West (ABSW) (Berkely, California) unanimously elected Rev. Dr. James E. Brenneman as their new president. 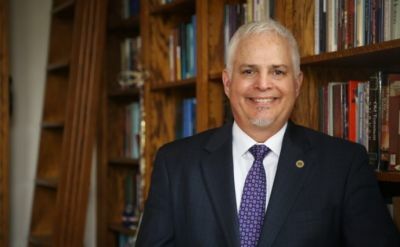 In June he will step down after three successful terms as president of Goshen College in Indiana, and will assume his duties at ABSW in August. 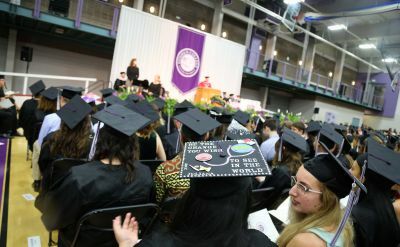 Members of the Goshen College Class of 2017 received undergraduate and graduate degrees after being encouraged by speaker Dr. Luis Fraga, co-director of the University of Notre Dame’s Institute for Latino Studies, to be transformational leaders during the college’s 119th commencement on Sunday, April 30. 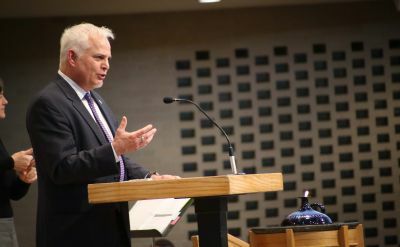 It was a day of great thanks and much celebration as Goshen College President Jim Brenneman offered his farewell address, titled "Back to the Future: Reflections on Being GC's 16th President,” to campus during the final convocation of the year on Friday, April 21. 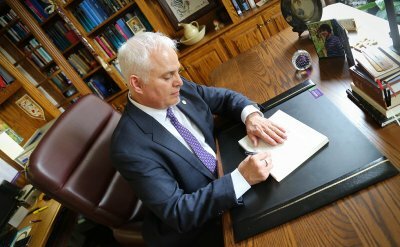 Goshen College President James E. Brenneman has been selected to receive the Alfredo G. de los Santos, Jr. Distinguished Leadership in Higher Education Award, presented by the American Association of Hispanics in Higher Education (AAHHE) at the AAHHE 12th Annual Conference in Irvine, California. Our Christ-centered core values — global citizenship, compassionate peacemaking, servant leadership and passionate learning — call us to seek the wellbeing of all people, including welcoming strangers (Matthew 25:43). For these reasons, we respectfully urge the president to rescind these executive orders. 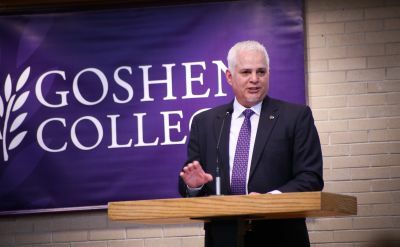 Goshen College President James E. Brenneman joined presidents and chancellors from more than 180 colleges and universities to urge president-elect Trump and the incoming congressional representatives to accelerate progress towards a clean energy future.